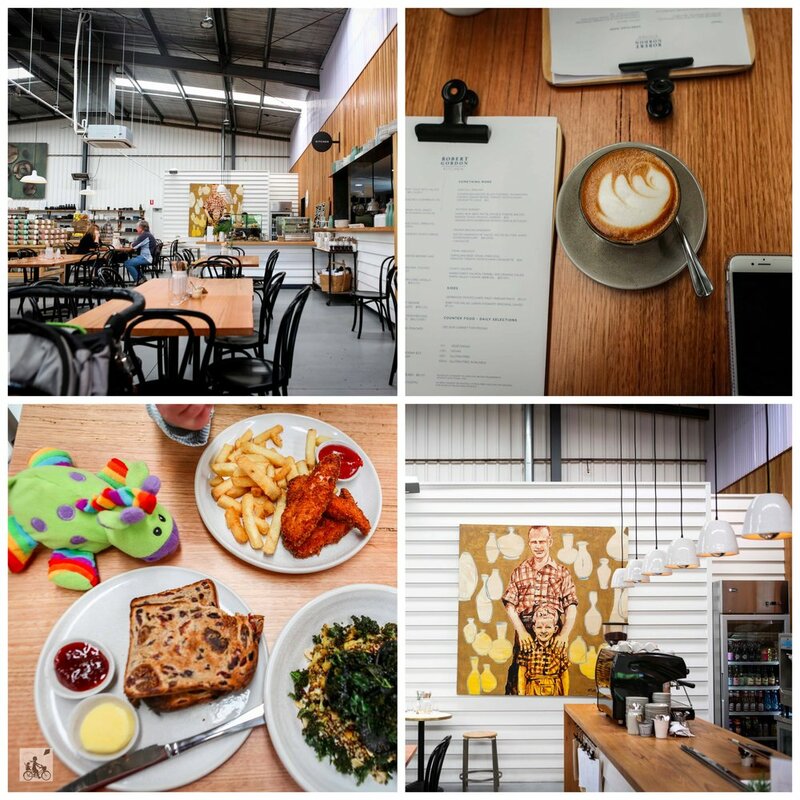 Ever since visiting the Robert Gordon Warehouse and learning about the Gembrook family behind the label, Mamma has is been playing ‘spot the Gordon mug’ at each cafe we visit. So upon hearing the news that the team have opened their own restaurant to put the food on these exact plates, well, we just had to see it for ourselves. Set to the side of the warehouse, Kitchen is the perfect complement to the homewares outlet. With airy ceilings and gorgeous decor - including the ceramic light fixtures above the coffee counter - the restaurant is pretty darn perfect. Coffee is spot on and the menu is fantastic. Mamma went for the lighter quinoa and spiced cauliflower salad although the Pottery Burger will be the top choice for next visit. Kids have their own menu too with real chicken and chips plus the added bonus of soft serve icecream! But the best bit, which maybe Mamma should have ordered for herself, is the Paint Your Own Cupcake. 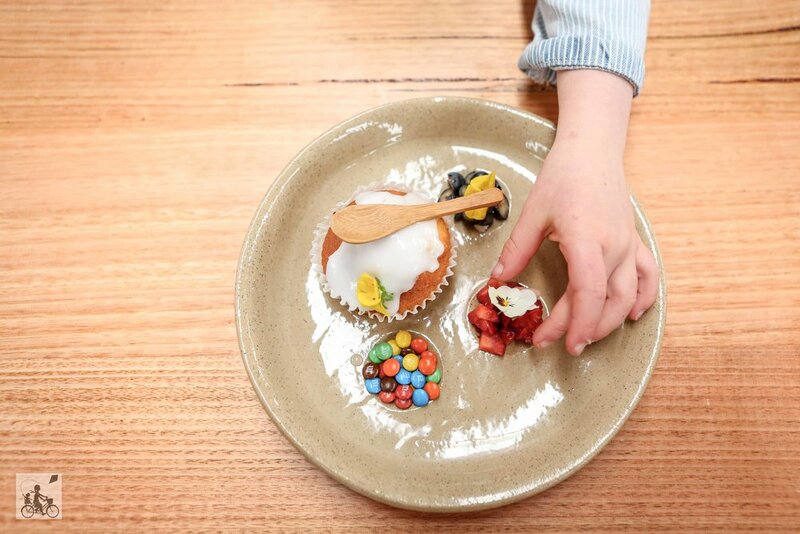 The cupcake arrives on a custom made plate and you can choose from either fruit, lollies or a bit of both, then you get to decorate a freshly iced cupcake, before devouring it right there and then! Mamma's special mention: Robert Gordon makes some of the most divine crockery in Melbourne. The shop is pretty mesmerising on its own and you might score a bargain while you are there as well! Or paint a plate!